Crystal Clear Boxes giving your product the dimensional appearance that shows your product in the best way possible, letting your product be seen! 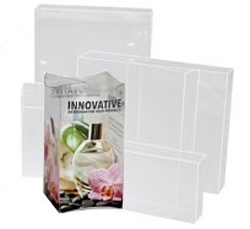 These are a great option for stationery, cosmetic, collectables and more, clear boxes allow the natural appearance of the product you’re packaging be the focus. Clear boxes present a professional high end look that allows the product to be seen without mystery. While highlighting your brand. 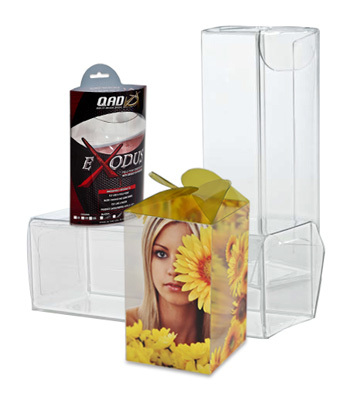 We have dimensional boxes, pillow boxes, hanging boxes, pop and lock boxes, clear tubes, and more. Affordable, and options for hundreds of different sizes that work to fit your need.